Sophie Addison, a popular blogger and skincare expert wrote this article. Check her out on Facebook, and Pinterest. The popularity of makeup products today seems to be greater than ever before in human history. Business Wire states that the global cosmetics market reached a staggering $460 billion in 2014 alone. Experts anticipate that the global market for beauty products will continue to rise at an annual rate of 3.8% in the next five years. Makeup has been a real danger for quite some time now. A study published in the Journal of Archaeological Science found that the bones of Japanese children from the Edo period contained levels of toxic metals a dozen times higher than the safety threshold. A soft, bluish-white metal that studies have linked to kidney failure, bone disease, and even cancer. Researchers believe that cadmium becomes toxic at levels well below limits set forth by the World Health Organization. 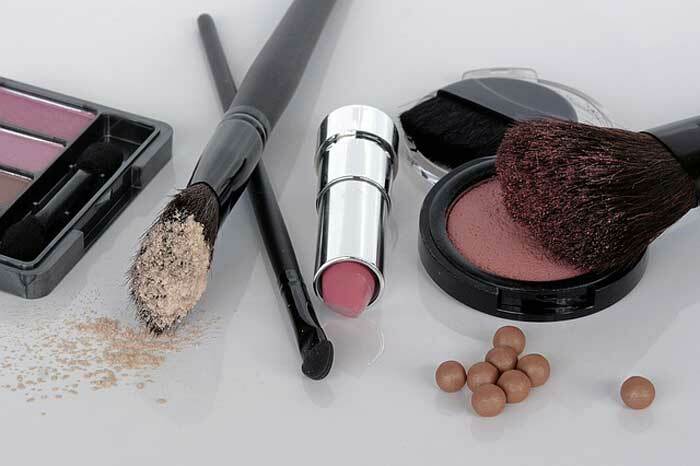 The FDA conducted a test of heavy metals found in popular cosmetics (see here). Cadmium was found in several Estee Lauder, Jafra Cosmetics, l’Oreal, Yves Rocher, Revlon, Proctor and Gamble, Mary Kay, and Jane & Co products including powder eye shadows, cream eyeshadows, eye primers, and foundations (source). A paint-thinner that studies suggest can damage the nervous system and lead to neurological disorders such as dementia. Toluene is found in several nail products as well as some hair dyes (more information here). Used in products such as foundation to protect against UV light. An article published in Dermatitis, states that benzophenones can cause allergic reactions such as skin rashes and even anaphylactic shock. Benzophenones are found in lip balms, foundation, nail polish, fragrances, shampoo, conditioner, hairspray, and baby sunscreens (more information here). These chemicals are added to cosmetic products to prevent bacterial overgrowth. Parabens are potential endocrine disruptors and one study even found the presence of these chemicals in breast cancer tissue raising further concerns. Parabens are commonly used in perfumes and colognes, but can also be found in shower gels, shampoos, conditioners, and lotions (more information here). A heavy metal present in a great number of makeup products, especially those with more pigment such as foundation, eyeshadow, lipstick, and eyeliner. Lead is highly toxic when it entered the bloodstream and was found to cause neurological disorders, but also infertility and cancer. Lead is most commonly found in lip products including lipsticks, lip glosses, and lip liners. It is also found in hair dyes, mascaras, eyeshadows, blushes, and foundations. In the FDA lab study, a lead was found in measurable or trace amounts in every product tested except for baby powder and most lotions (see the full results here). A mineral used in powder makeup such as pressed powder foundation and blush but also in liquid foundation. The mineral was found to be often contaminated with asbestos which is a known carcinogen. There has been a large number of studies linking talc powder to ovarian cancer according to a review published in the European Journal of Cancer Prevention. Talc is most famously found in baby powders, but it is also present in deodorants, feminine hygiene products, powdered eyeshadows and foundations, lipsticks and facemasks (more information here). 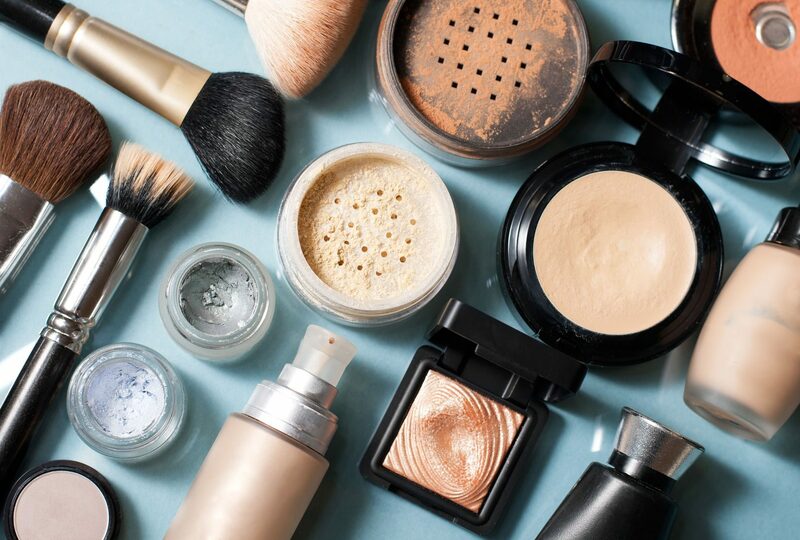 While most of these chemicals don’t come in amounts that would be scientifically proven to cause adverse health outcomes, chronic exposure to toxins from daily use of makeup may be a reason for concern as explained by Julia R. Barrett for Environmental Health Perspectives. If you want to protect your health and your good looks, then reading labels carefully and reducing the amount of makeup you use can protect your health. Consumers have become quite a health conscious over the years, and we see a rise in natural beauty products as a result. Examples include Josie Maran Cosmetics, ILIA, Dr. Hauschka, Physicians Formula, and many others. 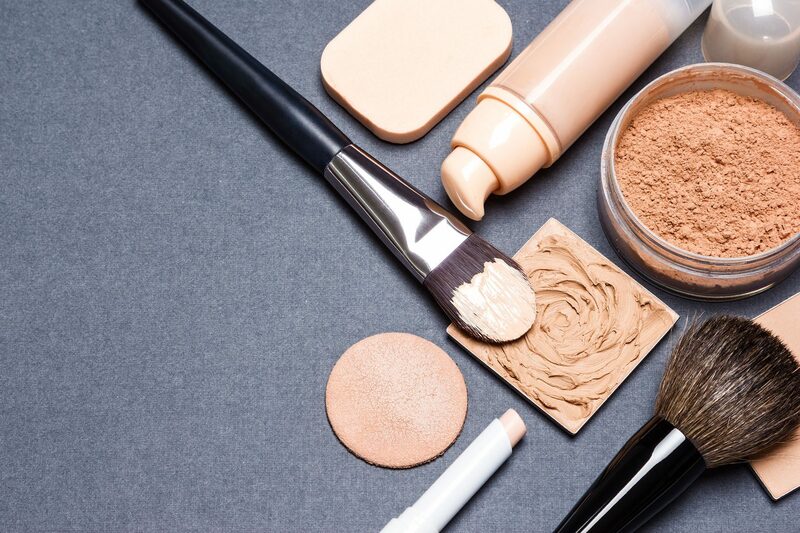 It’s also a good idea to practice makeup-free days which will significantly reduce your exposure to harmful chemicals that may be lurking in even the best makeup products you own. Another thing to keep in mind is to purchase makeup from reputable companies that sell clinically-tested products as these are less likely to contain harmful ingredients. Here are some natural makeup products you can make yourself!